I’m sad to say that Mike passed away last month, far too soon. In his memory I’d like to devote some posts over the next few weeks – holidays will intervene so not sure how long it’ll take – to his published work. I’ve already posted about his novel The Persian Wedding. 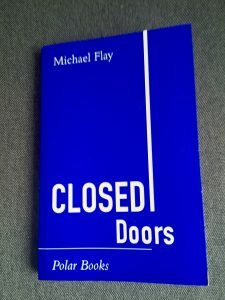 Closed Doors, his first book to appear under his own imprint, Polar Books, appeared in 1999, which is when I last read it. 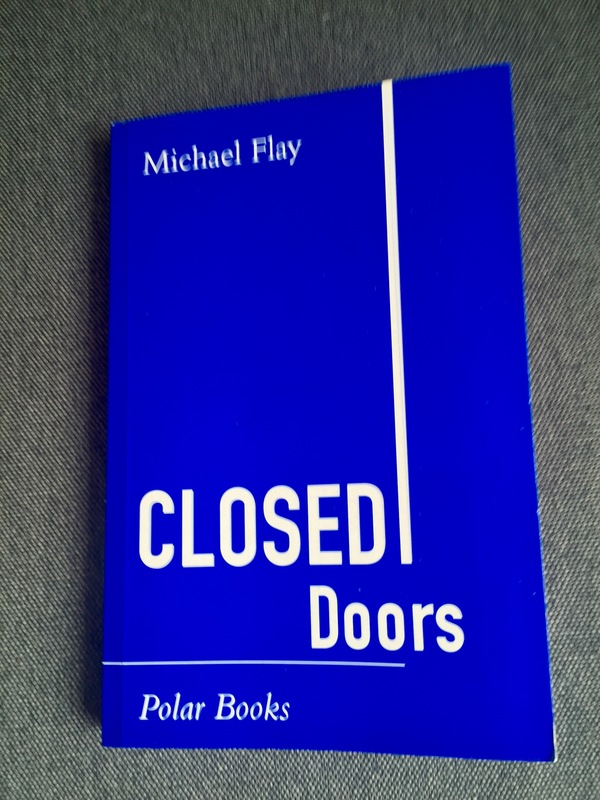 Because of time constraints this past few weeks I’ve not been able to reread the whole collection of stories in Closed Doors, and will have to limit myself here to the first one: ‘The Mad Mother’. It bears many of the features of the others, in that the main characters are unnamed, known only as ‘the mother’, ‘the daughter’, ‘the wife’, and so on. To confer a name would be to present them in too familiar or intimate a way. These are stories that throw a beam of light on to semi-concealed lives, like an entomologist opening up a termite nest. She was living strange, giving things up, doing damage. Mike’s style is distinctive: there’s a disjointedness in those three parallel participial phrases, a lack of agency (the absence of finite verbs after the first clause). That phrase ‘living strange’ issyntactically strange. The language, in other words, re-enacts the meaning and reinforces it. We are forced to confront that strangeness, the inertia of the structure. The abstractions and omissions are notable, too. Who is ‘she’? In what way was her living ‘strange’? Which ‘things’ was she giving up, and why? What was the nature of the damage she was doing? These are stories that forensically examine the damage we do in our lives, the toxicity of relationships in a corrupt world in which power is wielded by the most corrupt people of all, and that poison sinks down on to all levels of society. 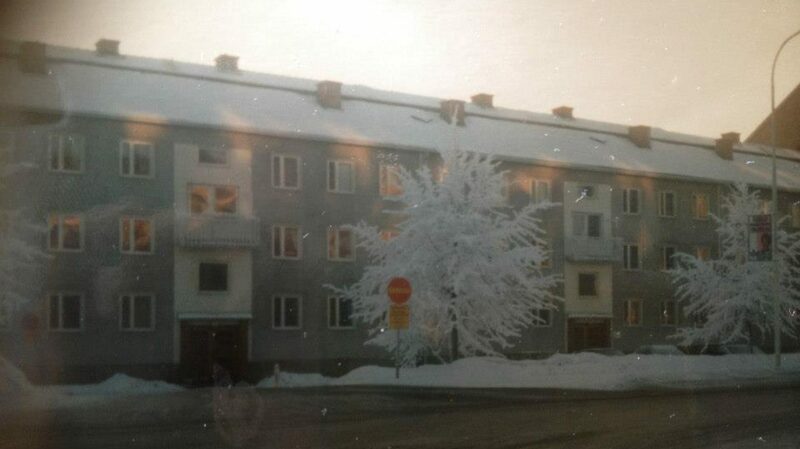 This is the world of the underclass, the housing-estate sink. The narrative style has more of the features which will become familiar to readers of Mike Flay: those accumulating, dreary terminal adjectives; that Lawrentian, early-20C use of ‘queer’ in its non-sexual sense, which recurs half a dozen times in this very short story; the Keatsian habit of turning a noun into a neologistic adjective (‘gloaty’) by adding a ‘y’ to it. And of course, these details create a new, disruptive sense of unease – it’s as if the ‘block’ (there are many of these ambiguously named places in the stories) is doing the sinister gloating. The description of disembodied ‘selfish mouths opening and shutting in a black expanse’ (within the block) is reminiscent of Beckett and the abyss. In her mind a female fixation circulated: she was an injured princess claiming her rights. She was justified: all her moods, her acts of spite, her small meannesses, were justified because she was female. It was best not to repress what you felt – this was the family tenet – or censor it…No criticism should be made, the female was sacred. The free indirect style portrays the woman’s views, not the narrator’s. While she broods incessantly over her own feelings her young son is cruelly neglected, to the point of abuse. This first story sets the tone for the rest. They are not a comfortable read. They intend to challenge and provoke. The disconcerting style works in the same way as the long lines of prose-poetry in the likes of Whitman and Lawrence’s verse: on the level of rhythm and juxtaposition rather than semantic sense. It’s a grim perspective and unflinching. Someone has to do it. Usually most of us look away. Strangely, Mike had a wicked sense of humour. After any meeting with him one left feeling uplifted, enhanced and enriched, and there would have been a lot of laughter. In his writing, however, he was determined to anatomise the world in all its states, and to do that it’s necessary to contemplate the rottenness beneath the veneer of consumerist plenty. This review and others like it can be found on Tredynas Days, a Literary Blog by Simon Lavery. In 1853 the most brilliant young painter of Victorian England, John Everett Millais, travelled to Scotland with the country’s leading art critic, John Ruskin, and his young wife Euphemia (‘Effie’). While in Scotland, the artist was to paint the critic’s portrait. But the marriage was built on vital secrets, and the events that followed became both the most famous love story, and the most famous scandal, to involve a young woman, an author and an artist, in nineteenth century England. The Subject of a Portrait catches the excitement of watching an artist, torn by conflicts, produce a great painting. A young wife must change the foundations of her life — and of herself. And a great critic gains revolutionary insights at the cost of his personal disaster.